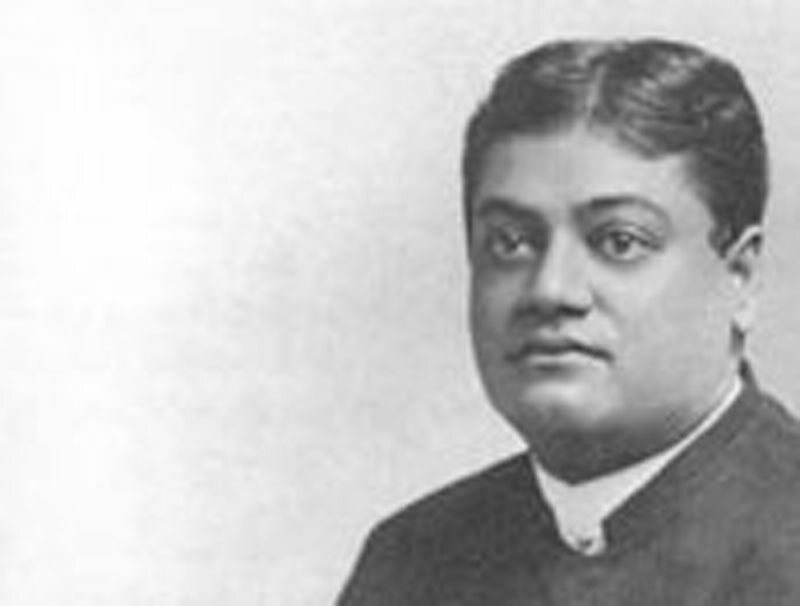 Many well-known persons are seeking to follow the teaching of Swami Vivekananda's Philosophy. Swami Vivekananda sat in the centre, clad in an ochre coloured robe. The Hindu had his audience divided on either side of him and there was between fifty and a hundred persons present. The class was in Karma-Yoga, which has been described as the realisation of one's self as God through works and duty. "That which ye sow ye reap", whether of good or evil. Following the lecture or instruction the Swami held an informal reception, and the magnetism of the man was shown by the eager manner in which those who had been listening to him hastened to shake hands or begged for the favour of an introduction. But concerning himself the Swami will not say more than is absolutely necessary. Contrary to the claim made by some of his pupils he declares that he has come to this country alone and not so officially representing any order of Hindu monks. He belongs to the Sanyasis he will say; and is hence free to travel without losing his caste. When it is pointed out to him that Hinduism is not a proselytising religion, he says he has a message to the West as Buddha had a message to the East. When questioned concerning the Hindu religion, and asked whether he intends to introduce its practices and ritual into [t]his country, he declares that he is preaching simply philosophy.